A host of Scouse boxers looked fit and ready as they opened their training session to the public ahead of an action-packed programme of bouts at the weekend. 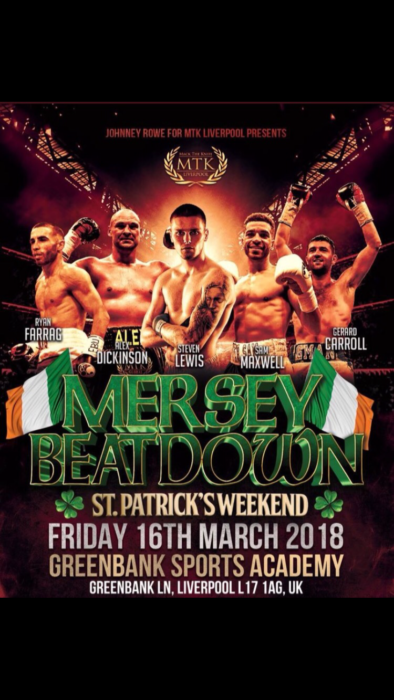 All the local MTK Global fighters were at Derry Mathews’ gym for a special workout ahead Friday’s ‘Mersey Beatdown’ night to be held at Greenbank Sports Academy, near Sefton Park. 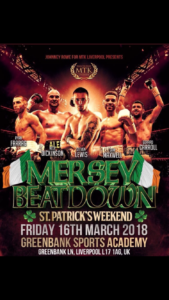 It gave some of Liverpool’s renowned talent the chance to show off their form, with Sam Maxwell, Ged Carroll, Steven Lewis, Johnny Quigley and Al Dickinson among those set to take to the ring. Former British champion Mathews is eager to ensure that regular challenges give his stable a platform to prove themselves, and he is excited about the upcoming event. Commonwealth Games medallist, Sam Maxwell, is returning to the ring in Liverpool for the first time since October 2016, off the back of a recent win against Oszkar Fiko. Steven Lewis and Johnny Quigley featured on the last card in the city two years ago, and they are both looking to get back to their winning ways after two losses in previous fights. Heavyweight Al Dickinson aims to maintain his unbeaten streak in his professional career. He told JMU Journalism: “I am looking forward to the fight. Obviously, you treat ever opponent the same, and when you get into the ring its always 50/50. The fight camp has been going well – I am at the top of my game and hopefully I can get another win under my belt. 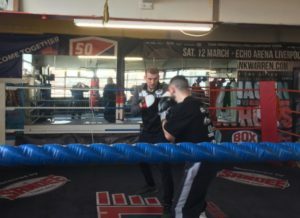 Another promising Liverpudlian, lightweight Ged Carroll, is also aiming to looking to keep his unbeaten streak in his sixth professional fight the city, saying “Sparring’s been going great. I’ve had a few problems with my hands, but they’re all ironed out now.